Adjusts the width of the listbox to its surrounding elements. Listboxes can be shown as an unordered list in the browser. Select this setting to do that. 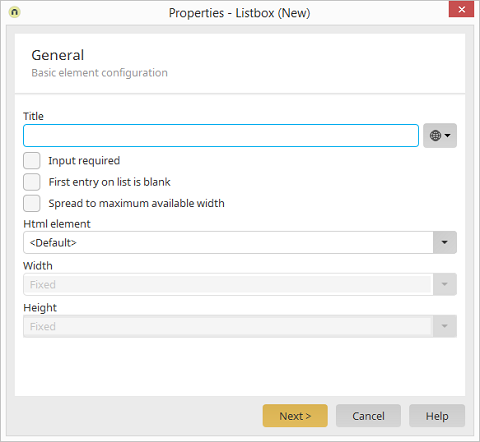 If the Listbox is set up as an unordered list, you can adjust the control's size further. You can select whether the control's width and/or height in the Application Designer corresponds to the maximum, minimum or fixed width and/or height of the HTML element in the browser. If the list is shown as unordered list the option "First entry on list is blank" is not available.